The Gospel of Judas is Significant! In typically brilliant fashion, Ehrman (Misquoting Jesus) tells the lively tale of the modern discovery of the Gospel of Judas and its significance for us today. In order to differentiate the Judas of the newly discovered text from the character in the canonical gospels, he examines the portrayal of Judas in Mark, Matthew, Luke and John, as well as in other early Christian gospels such as the Gospel of Nicodemus. He chronicles the events surrounding the discovery of the text and its transmission since its discovery (which involves rumors of black market trading in looted documents). Ehrman also provides a helpful overview of the content of this once lost gospel, which depicts Jesus teaching Judas about a divine realm that no one has ever seen and to which Jesus must return. 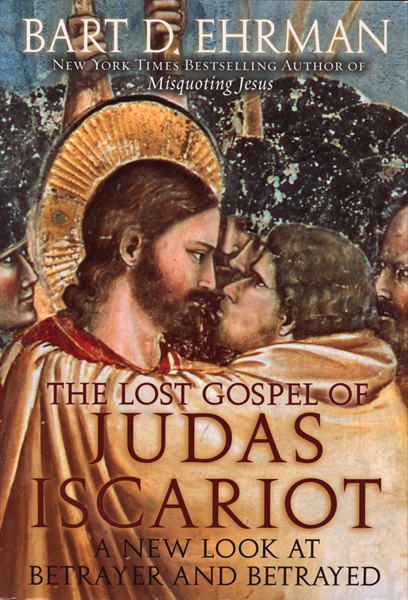 Ehrman concludes that the discovery of the Gospel of Judas is significant not only because it adds to our knowledge of the diversity of early Christianity but also because it portrays a Judas who is not a traitor to the cause but one who is instrumental in fulfilling Jesus’ divine mission. 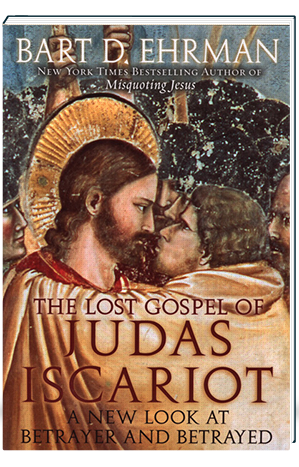 Ehrman’s fast-paced study introduces us engagingly to the Gospel of Judas. (Oct. 6). Copyright © Reed Business Information, a division of Reed Elsevier Inc. All rights reserved. There’s been a flurry of attention about a biblical discovery recently brought to light–a Gospel that paints the apostle Judas in a very different light than the four Gospels of the New Testament. The National Geographic Society, which was instrumental in bringing the lost Gospel of Judas to light, has already put out two books and one TV show on the subject. Ehrman, who was one of the few people called upon to authenticate the manuscript, goes beyond those two volumes, examining the lost Gospel for new insights about early Christianity and putting the codex into a historical context. Always an engaging writer, Ehrman has his work cut out for him here. The Gospel of Judas, which falls into the Gnostic tradition, can be puzzling, even bizarre. But, in step-by-step fashion, Ehrman leads his readers through the maze, covering the background of Gnosticism in general, exploring how this Gospel fits into that tradition, and examining precisely what the book says: that Judas was the recipient of secret revelations because he alone of all the disciples understood Jesus’ message of salvation, and that he is to be honored for executing his part of the divine plan. A must for those interested in the subject of early Christianity, this volume will also attract readers intrigued by all the hoopla arising from the discovery of the lost Gospel. Ilene Cooper. Copyright © American Library Association. All rights reserved.